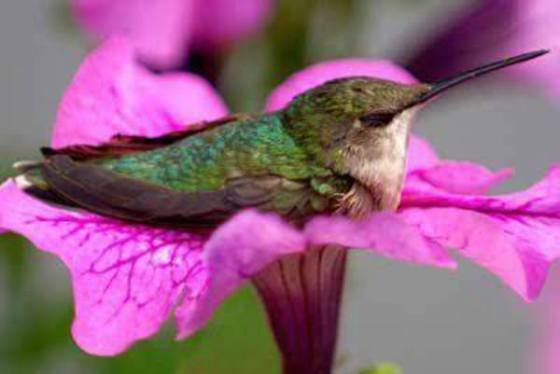 I may be a hyperactive hummingbird, but even I need to rest once in a while. Petunias are just the perfect place. Don't worry, I cleaned the nectar out first. I don't want to get sticky feathers!